DU LLB three year law course is reputed enough to be ranked alongside top national law schools and DU's campus placements are proof of the same. In the following article, we are going to discuss the DU LLB Packages for Law Graduates. Many a time, students wondered that there is only one profession after doing LLB and that is Lawyer, but now, the time has changed. In today's time, there are a lot more career opportunities for a Law Graduate. Generally, DU's law colleges get their students placed in the following organizations. LPOs- LPO stands for Legal Process Outsourcing. These days companies hire LPOs in large numbers in the legal industry with decent payment. The work is simple and you get paid well. As a fresher, you can expect a monthly pay around 30k-50k per month.The myth that LPOs are the leftover jobs is debunked and students are seen joining LPOs in large numbers. Litigation- DU LLB pass outs get a lot of offers from senior counsels from the Supreme Court and the senior counsels from the Delhi HC. The pay package is anything between 15k to 30k per month when you join initially and you will hold a junior rank but there is nothing like litigation in the SC for someone who wants to have his own practice one day. A corporate job can come to you if you are confident in your abilities and though academics matter but that's not all that matters. Many companies visit Delhi University for DU LLB Campus Placement. Most DU LLB students who get selected in corporate houses are selected for their good track record both in academics and in extracurricular and personality matters too. The role that a company offers is mostly client facing so a well-rounded personality alone fits the bill. A few companies which have hired from DU LLB department are HDFC bank and Hero motor corp. The payment remains anything between 30k-60k per month. Full-service law firms such as Anand and Anand and Link Legal also hire Law Graduate from Delhi University. Since these are full-service law firms you may get to choose the domain in which you want to work but if there is no vacancy in the domain of your choice then start from a different department and switch later when a vacancy arises. For instance, if you are working in corporate but want to switch to litigation then that may be possible. The payment ranges from 30k-70k each month. The college also sees job offers from government companies such as the Telecom regulatory authority of India and NDPL. These jobs are coveted because in an industry where almost all jobs are from the private sector a government job is considered valuable and the perks are always more in case of a govt. job. The payment varies from 40k to 60k. On the whole, the placements of law schools of the Delhi University are becoming better day by day. The placement cell is showing dedicated efforts to get as many students placed as possible. Besides these jobs, the LLB colleges of the DU encourage their students to take up good internships so that later these internships transform into pre-placement offers. My parting comment would be that the job scene at DU looks good. 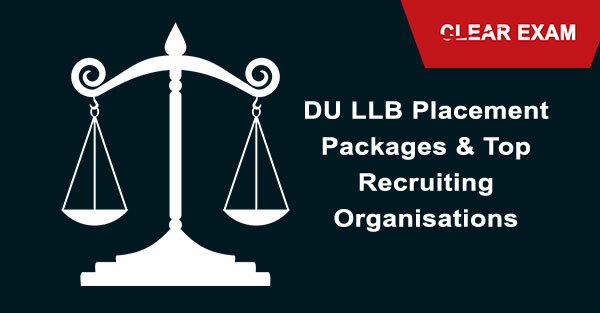 Read the article to know the attractive DU LLB Placement packages and the top recruiting organisations.